The handicap principle suggests that in many situations which involve communication, the reliability of a signal is directly tied to any potential costs that are associated with making and maintaining it. A classic example of the handicap principle has to do with the flashy tail that male peacocks have. From a practical perspective, this tail serves little to no purpose, and takes a considerable amount of resources to grow and carry around, while also making it harder for the peacock to escape predators. Because of this, the bigger the tail, the more impressive it is to the female peacocks, since it signals to them that the male walking around with it is fit enough to find food and evade predators, despite this handicap. The handicap principle plays a key role in the way people communicate, so it can be beneficial to understand it. As such, in this article you will learn more about the handicap principle and about the theory behind it, and see how you can implement your understanding of it in practice, both so you can learn to make your own signals appear more reliable, as well as so you can learn how to assess signals made by others. The handicap principle is a principle in sociobiology which denotes that the more costly it is to make a signal, and the more costly it is to be caught if that signal is dishonest, the more reliable that signal appears. This means that in many cases, for an act of communication to be perceived as trustworthy, there must either be some direct cost involved with making that act, or there must be some potential penalty for acting in a manner that is dishonest in some way. A signal is an act of communication between two or more entities. A signal can be anything from a flashy physical dance, to an extravagant luxury product, to a spoken verbal threat. A signaler is an entity making a signal. A signaler can be anything from an animal, to a person, to a corporation. Cost is the price that a signaler must pay in order to make a signal, or the price they will pay as a result of a failed attempt to deceive others. Cost can be anything from experiencing physical harm, to paying a fine, to losing social status. The handicap principle was first proposed in a 1975 paper written by sociobiologist Amotz Zahavai, who later expanded on it in his book, “The Handicap Principle: A Missing Piece of Darwin’s Puzzle“. 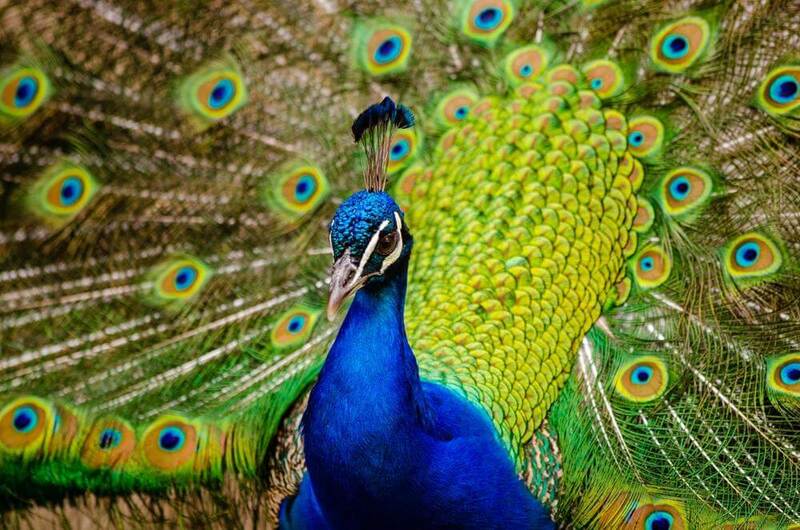 The classic example used to illustrate the handicap principle is the male peacock’s flashy tail. Specifically, a large tail serves as a reliable signal of biological fitness, since the cost of having such a tail is high, both in terms of the added resources the peacock must consume in order to grow and carry it, as well as in terms of the added difficulty that the peacock has when it comes to avoiding predators while carrying such a tail. Accordingly, in a natural environment female peacocks trust this signal when it comes to sexual selection, because a male that’s not fit enough to grow and carry a big tail generally won’t be able to survive with it for long. Furthermore, examples of the role that the handicap principle plays in communication appear not only in the animal kingdom, but also among humans. For example, when it comes to demonstrating biological fitness, humans often rely on signals which involve a monetary cost, when they buy expensive products in order to demonstrate to others that they have notable financial resources at their disposal. For instance, a person might buy a luxury watch as a signal that they are wealthy, since buying the watch shows that they can afford to spend a large amount of money on something that serves mostly as a status symbol. However, the cost associated with signaling among humans doesn’t always have to do with money. In sports, for example, there is the concept of a golf handicap, which is used in order to balance gameplay between golf players with different abilities. Under this context, the better the player is, the greater the handicap that they play with. Accordingly, a high golf-handicap is a relatively reliable indicator of a high-level golfing ability, since if a weak player claims to be better than they are in reality, they will have to prove it by playing with a high handicap, which will likely lead them to lose their matches, until they accept a handicap which matches their true abilities. Note: there is some controversy regarding the use of a peacock’s tail as a signal of biological fitness, with some studies suggesting that it may have been rendered obsolete in some cases, at least to some degree. This issue can potentially be explained to some extent under the framework of the handicap principle, using concepts such as signal inflation, which is discussed below. Furthermore, the peacock’s tail remains the example which is most commonly associated with the handicap principle, regardless of this controversy, and as such is included here. The cost of making the signal itself. This is the cost that one incurs directly as they make a signal. For example, this can involve the price that a person has to pay in order to purchase an expensive product. The potential cost of cheating. This is the cost that one can potentially incur if they make a dishonest signal. For example, this can involve the risk of losing other people’s trust if a person lies about their past. It’s possible for a signal to be costly for either of these reasons, or for both of them at the same time. Note: in general, the original formulation of the handicap principle focused on the cost associated with making a signal, while later studies shifted the focus to the potential cost of cheating. This topic is still being debated from a scientific perspective, but from a practical perspective this isn’t crucial, and the main thing to keep in mind is that both factors can play a role in communication. It’s important to remember that a high cost does not guarantee the reliability of a signal. Rather, while a higher cost suggests that a signal is more likely to be reliable, it is just one of the factors that you should look at when assessing the honesty of someone’s signals. For example, if someone is known to be a con artist, you should take their previous actions into account when assessing the truthfulness of communication from them, even if their signals appear to be reliable. Furthermore, it’s also important to keep in mind that just because a certain signal is not costly, doesn’t mean that it’s necessarily dishonest. This is particularly important to keep in mind when it comes to everyday communication, which can often be relatively trivial in nature, and which therefore doesn’t generally necessitate a high cost of signaling. The value of a signal can degrade over time, because once a signal becomes affordable to everyone, its value will shrink, in a process referred to as inflation. For example, in a park where food is plentiful and there are no natural predators, a peacock’s extravagant tail might not serve as a good indicator of biological fitness, since even weak males could afford to carry around a tail like that. Similarly, when it comes to humans, simple car ownership has degraded as a status symbol over time, since what was once affordable to only a select few people is now affordable to a much large segment of the population. Nevertheless, the use of cars as a status symbol has not stopped entirely, and can still be relevant in some cases, such as when it comes to certain populations, or when it comes to owning certain types of expensive luxury cars. The handicap principle is often used in order to explain some aspects of altruistic behavior, since altruism, which is the willingness to care for others in an apparently selfless manner, can serve as a signal of personal ability, and increase the prestige of the signaler in the eyes of their community. For example, when a male bird gives some of his food to weak members of his flock, he is demonstrating his ability to acquire resources, which increases his prestige in the eyes of other members of the flock, and improves his chances of mating. This type of behavior can be so beneficial that in some cases, a form of altruism known as competitive altruism develops. When this happens, different members of a group will fight for the opportunity to show others how altruistic they are and how much they can help others, in order to improve their standing within the group hierarchy. So far, we saw what the handicap principle is, and what role it plays in our communication. There are two main ways in which you can use this knowledge. First, you can use the handicap principle in order to make your signals appear more reliable to others. Understand that the greater the cost associated with your signals, the more reliable your signals will look. Cost can be anything of value, including your willingness to spend time, money, or effort on the signal, as well as the potential penalty that you might incur if you are being dishonest. Second, you can also use the handicap principle in order to assess other people’s signals. If you’re unsure about how honest someone is, ask yourself what cost they are incurring by signaling whatever they are signaling, and what price they would have to pay if their cheating fails. The higher the costs involved, the more likely it is that they are being honest. Remember that although a high cost contributes to a signal’s reliability, it does not guarantee it. When assessing the reliability of a signal, you should look at additional factors beyond cost, such as the history of the person making that signal. Remember that cost is relative to the situation at hand and to the signaler’s ability, meaning, for example, that a $50 donation from a poor college student can be a much stronger signal than a $1,000 donation from a large corporation. The handicap principle is a principle in sociobiology which denotes that the more costly it is to make a signal, and the more costly it is to be caught if that signal is dishonest, the more reliable that signal appears. Accordingly, for an act of communication to be perceived as trustworthy, there must generally either be some direct cost involved with making that act, or there must be some potential penalty for acting in a manner that is dishonest. For example, a peacock’s tail is a good signal of biological fitness, since it serves little to no functional purpose, and requires a lot of resources to carry around, while also making it difficult for the peacock to escape predators. The handicap principle can be useful to remember, both when it comes to making your own signals appear more trustworthy, as well as when it comes to assessing the reliability of signals made by others. When implementing the handicap principle, it’s important to keep in mind that a high cost doesn’t guarantee honesty, and that other signals, such as a signaler’s personal history, should also be used when assessing a signal’s reliability. If you want to learn more about the handicap principle and related concepts, you should take a look at the original book on the topic: “The Handicap Principle: A Missing Piece of Darwin’s Puzzle“.